St. Rita’s Monastery in Cascia, Italy may seem an odd destination for a bride-to-be. 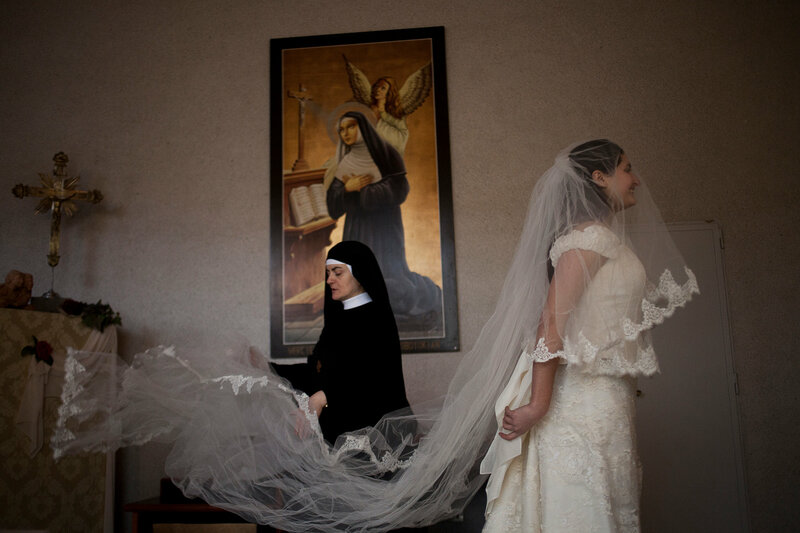 However, women from around Italy are making the pilgrimage to see Sister Maria Laura, a former seamstress, whose modest collection of donated bridal gowns has turned into a bridal gallery. Her first client were brides in economic straits. Sr. Maria Laura would help match them to a dress and complete alterations on a donation only basis. Now, word has spread and St. Rita’s has become not only and economic but trendy choice for wedding attire (though still donation only).